The long-term agreement marks the largest sponsorship agreement in WCC history. The agreement was secured by the WCC’s multi-media rights partner Van Wagner Sports & Entertainment (VWSE). 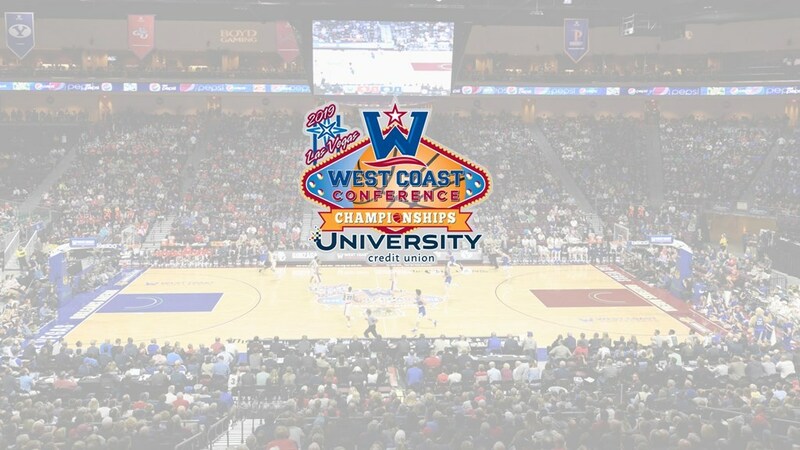 As title sponsor, University Credit Union will receive an integrated marketing presence before and during the marquee basketball championships as the WCC enters its 11th year hosting its highly-successful tournament in Las Vegas. All 18 men’s and women’s games will be nationally televised in more than 60 million homes. In addition to the WCC, University Credit Union currently has athletics and campus partnerships at several member institutions including Pepperdine University, Loyola Marymount University, and, most recently Santa Clara University. University Credit Union, a federally-insured financial cooperative was founded in 1951 on UCLA’s campus in Royce Hall by faculty and staff. Serving more than 36,000 members, UCU has become a leading credit union in the United States. UCU is guided by a board of directors, comprised only of faculty, staff and alumni of the university community. UCUs core purpose to give members a financial edge in life, along with the brands promise to advocate educate and innovate help position UCU as a financial partner to the university community. To learn more about UCU visit www.UCU.org or call (800) UCU-4510 for more information. Van Wagner Sports & Entertainment LLC (VWSE), a wholly owned subsidiary of Van Wagner Group LLC, is one of the preeminent sports marketing and media sales organizations in the world. It is an acknowledged innovator in property consulting and branding solutions and a global leader in naming rights, team and venue services, high-impact visible TV signage throughout the MLB, NBA, NCAA, MLS, and internationally in soccer, advertising and sponsorships sales, premium ticketing, and in-venue content production. VWSE works with more than 300 professional and college teams worldwide. VWSE assists teams, organizations and properties in creating and selling advertising; sponsorships; and media that maximize revenue potential, and helps clients develop effective and powerful customized brand campaigns.